Not much progress in the last couple of days. 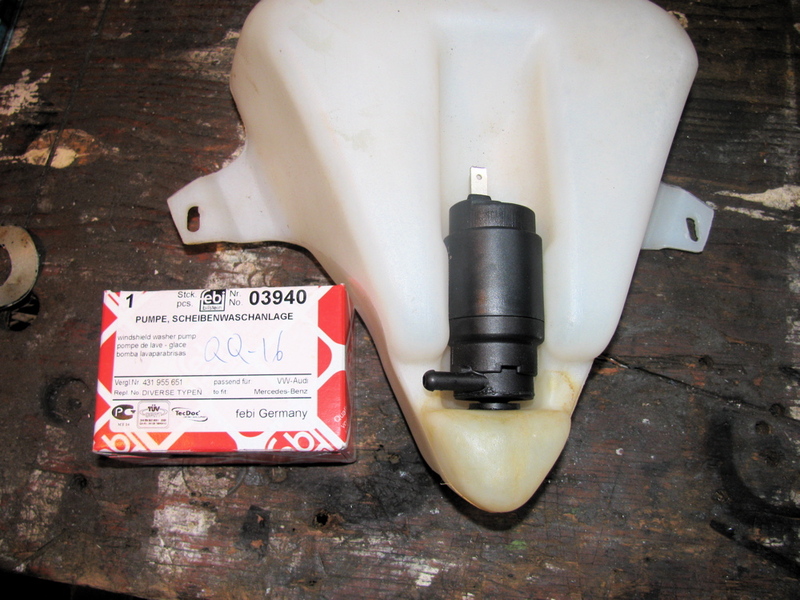 A new rear windscreen washer pump was bought from dealer (best price, 20 bucks, had the option of $120 original from dealer, or a rather suspicious “trico” brand one from local parts supplier). 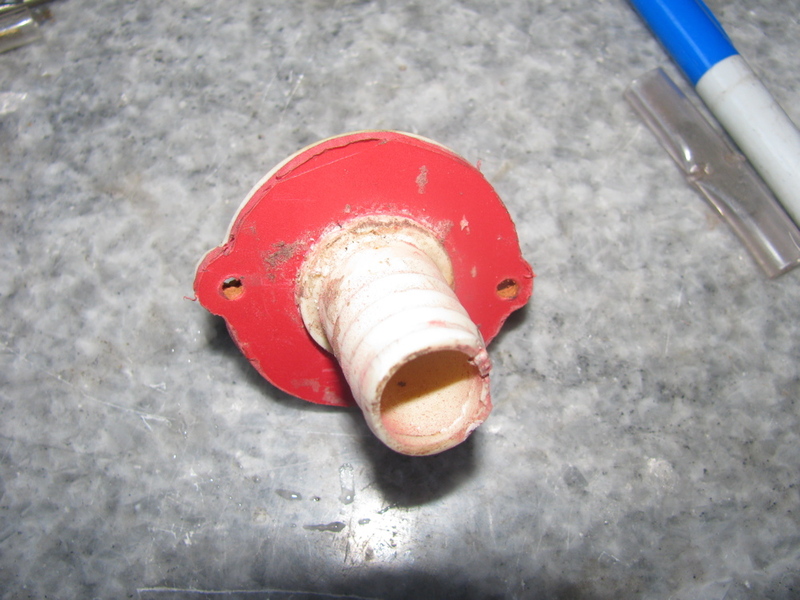 I removed the old sink drain bulkhead fitting, you can see how I repaired it years ago with some red plastic. I looked for a stainless fitting to replace it with, but could not find one. 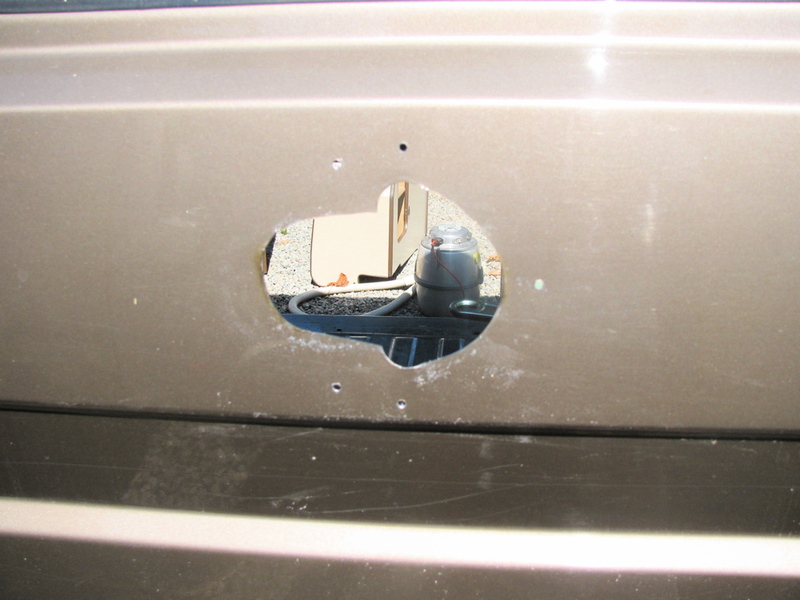 Also, I pulled all the cabinets and drilled holes for the rear most 2 attachment points for propane tank. The forward 2 points use the existing welded nuts for the seat tracks, but new ones had to be drilled, metal “washers” installed and the bolt held in place by nylock nut underneath. Silicon caulk applied liberally, and all 4 bolts stainless steel. The fridge vent hole was cut. I used paper to make a “rubbing” of the shape and location of hole on my Westy, and taped the paper to the syncro and first drilled the screw holes, then used punches to make the “ear” shaped curves and finally a saw for the rest. I taped the base of the saw to insure no scratches on van’s side. I also put in a second battery and automatic charge relay. The install is preliminary, nowhere near picture worthy yet. Finally, today I installed my “Shady Boy” awning. 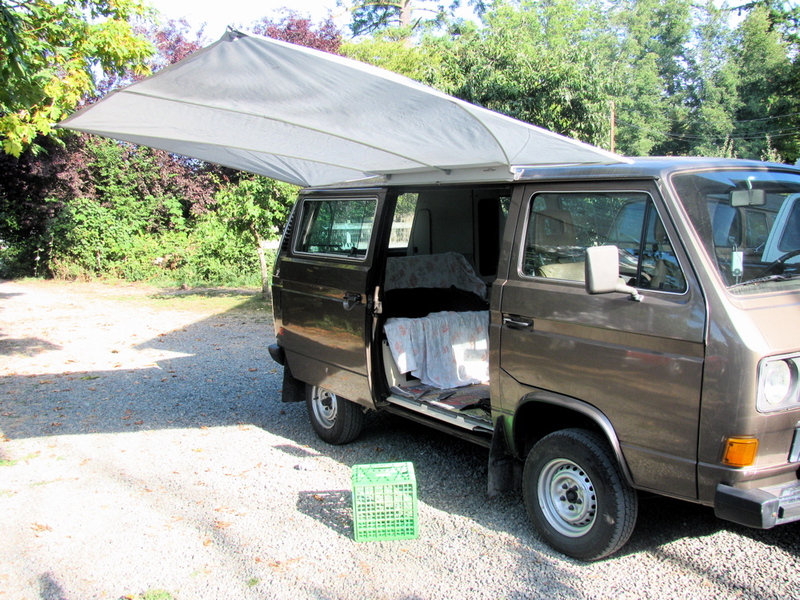 I really like this awning, lightweight, simple, and it works. Picture show it deployed without guy lines or down draught poles. 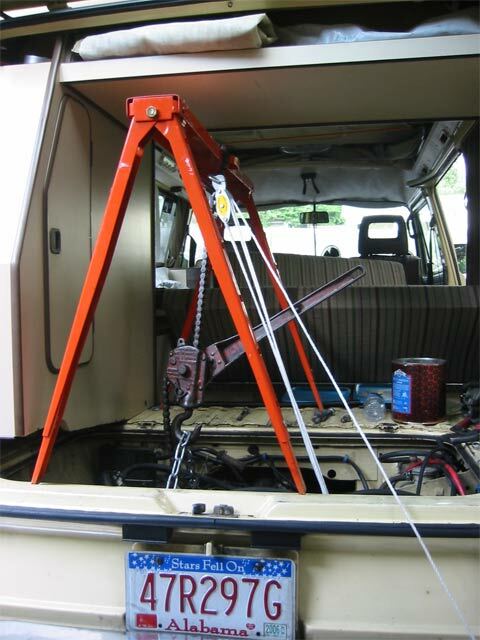 You’ll need a way to get under the car, a circular saw, the usual hand tools, a set of seat tracks and the fasteners for those tracks, a marker, a tape measure and a straight edge and some 2″ wide painter’s tape. 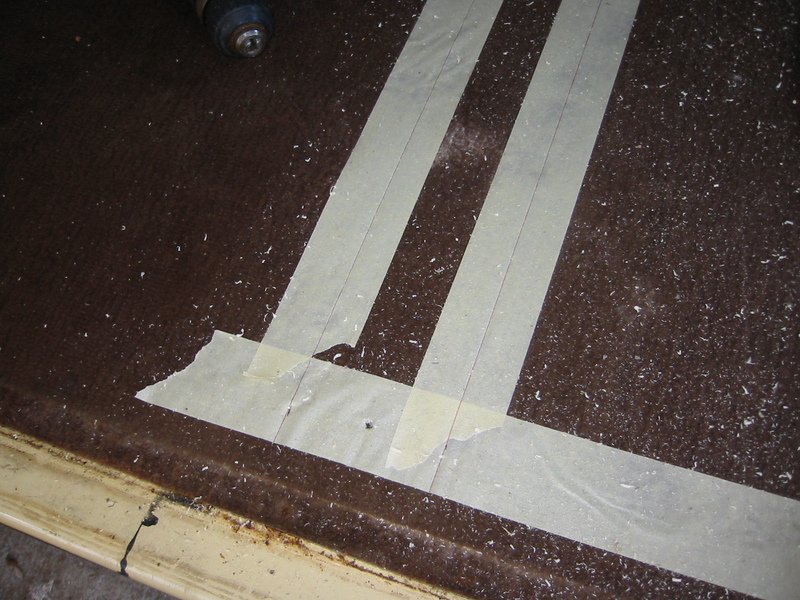 The tape will allow you to mark accurately for the cuts, and will help the carpet cut cleanly. You will need a very long 3/16th (approximately, it just has to fit through the center of a 13mm bolt hole–that’s a head size of 13mm, not shaft diameter) drill bit, about a foot long I believe. 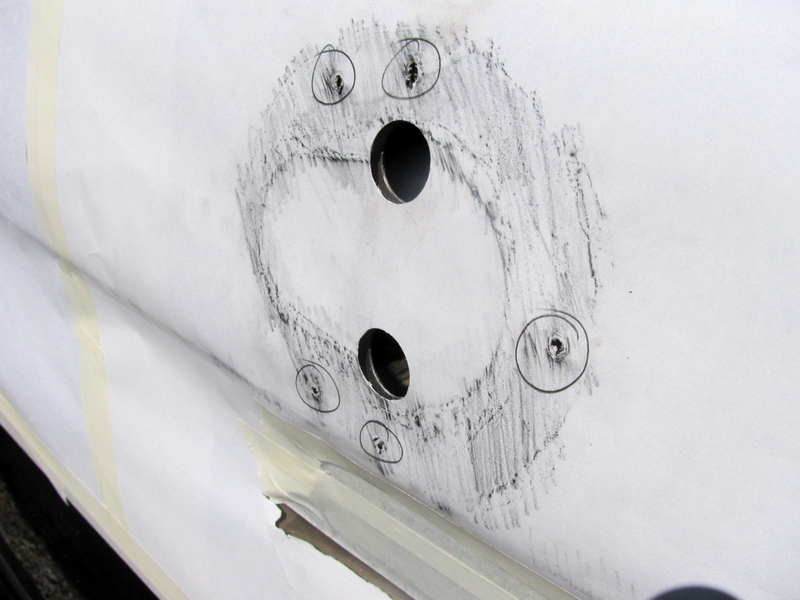 You will use the bit to drill up through the bolt holes in the bottom of the van to locate the center of the pieces you are going to remove. It’s tight up against body crossrails, and the drill body will interfere with these if you don’t have a really long bit. 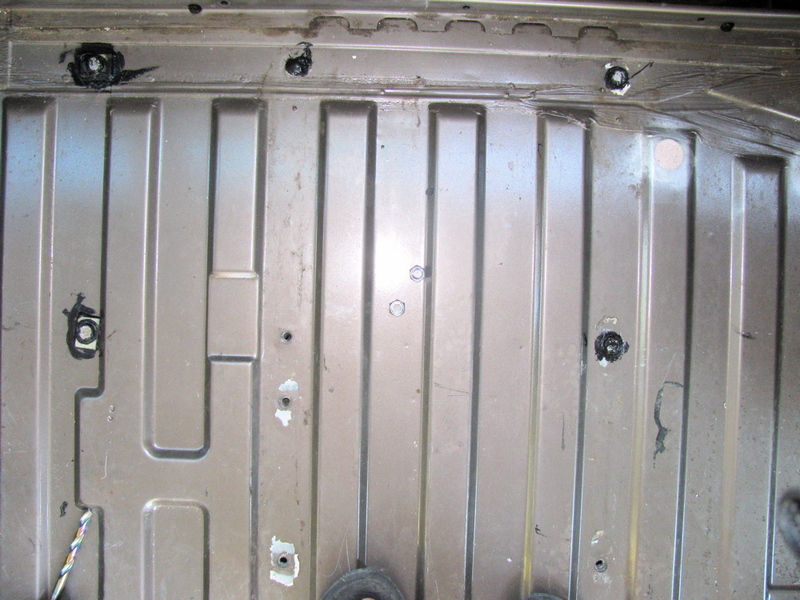 When the instructions refer to bolt holes in the floor, realize that every vanagon ever made, as far as I know, has the bolts for this welded into the metal of the floor. 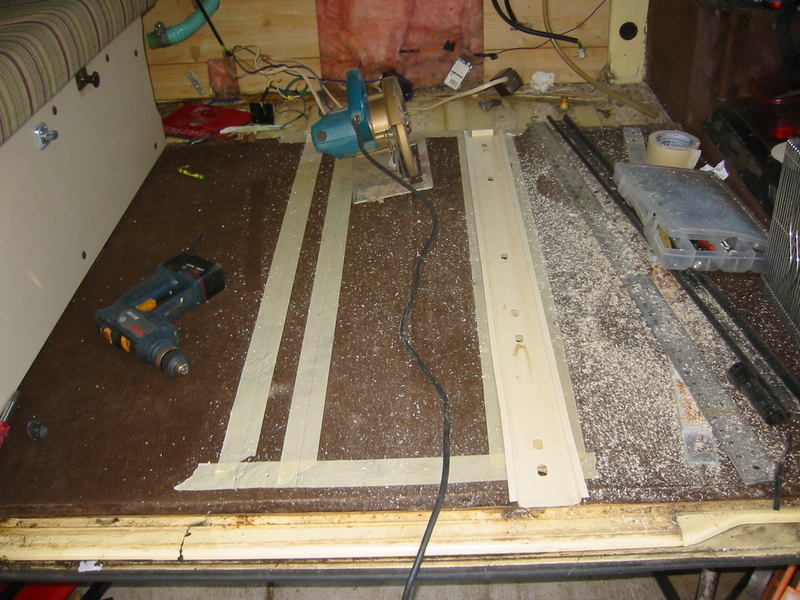 The trick is to remove two sections of wood that cover the holes in such a way that when the sliding seat trays are dropped in, their holes align exactly with the fastener holes. It isn’t difficult if you can mark and measure carefully. First pull out the fridge unit so you have access to the whole width of the floor board. 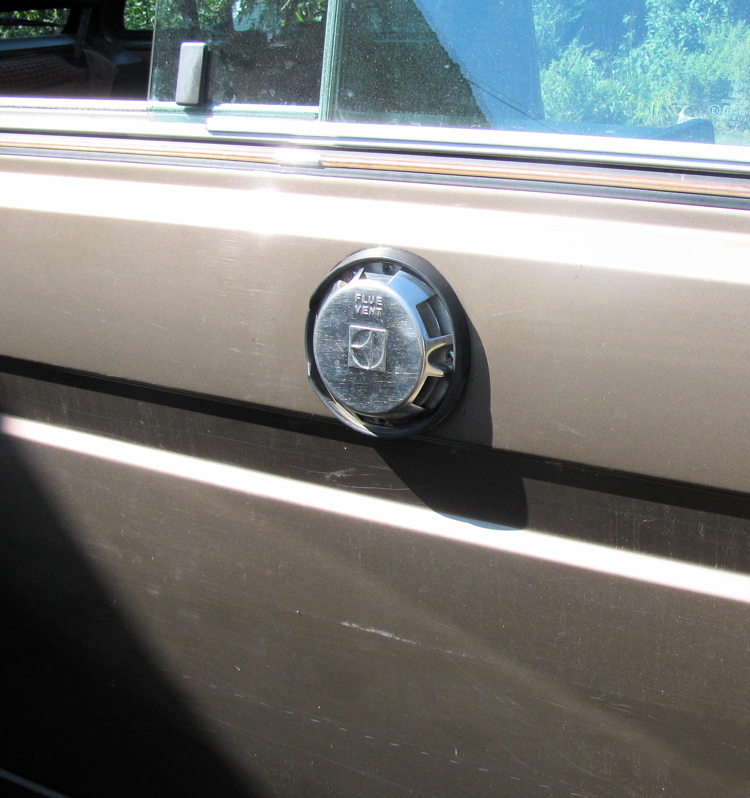 Take off the front (door side) trim. Go underneath with the long drill and locate the fitting welded into the floor where the floor track will be. This will be obvious as there will be two rows of them across the car in about the middle of the rear area. 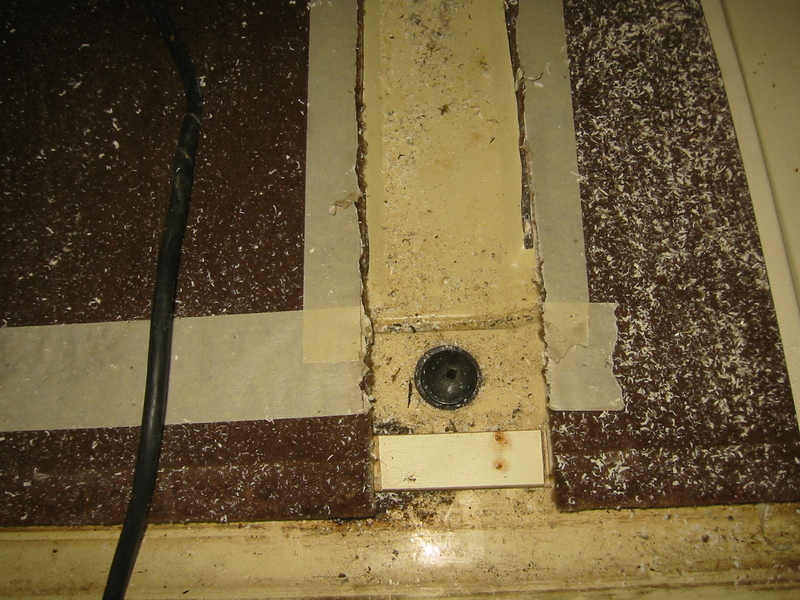 Once you have drilled up through the two fasteners near the door, measure over the width of the floorboards and then go below to locate the corresponding pair. You don’t want to go all the way to the driver’s wall because there’s no point in removing the plugs. You are not going to use them because the seat rail won’t reach them.Start at the ones just inside the door and drill up through the floorboard. You are drilling through a plastic plug. After you get the floorboard strips removed, you can remove all of the plastic plugs from the top with with a phillips head screwdriver. But, until you can remove the wood flooring, you must very carefully mark where you are going to cut, and for now must be content with drilling as small a hole through them as is feasible. You don’t want to break the drill bit off, but you don’t want to big a drill either. Just something large enough to find the hole in the carpet to use as a point of measurement. If you drill too large a hole in the plastic plug, you will just spin the plastic plug and it will not want to come out. You will also have drilled out the molded phillips head pattern in the top. So, use as small a drill as you can. Lay down a strip of tape over all four holes, running fore and aft, each about ten inches long. Punch down over the hole to locate it in the tape. This will create your four reference points. Now run masking tape across the floor of the van between the marks. Now measure the width of the seat rail tray where it drops into the slot (not at the edges of the flanges). Look at the end and you will see this for yourself. The flanges down both edges of each piece are meant to cover the edge of the channel and embed in the carpet. Measure this distance, divide it by two, and mark this distance out from your reference holes. Connect the marks across the width of the floor with a line from the straight edge. The material between these lines is what you will saw away. 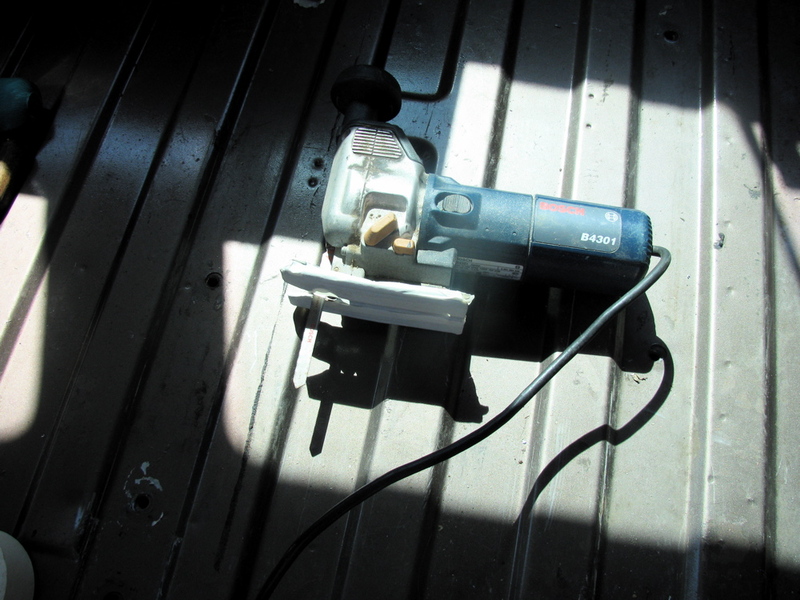 Use the open area between the floorboard and the wall to set the depth of the circular saw to saw through the bottom of the wood without touching the metal and ruining the blade. It can be done. If you are worried about this, leave yourself a 64th or so and get the last with a knife blade. Lift the strips out and you will see all the plastic plugs that can now be removed. Simply screw in all the track pieces–they will only go in one way–and replace the stove and fridge. Slide the seat in for reference before you do final tightening on the rails. Once you’ve done this job once or twice, you can get in an out in less than an hour. It’s really not all that hard a job, just that when you don’t know how to twist the motor on the cables to get the assembly to slip out, you end up doing a lot of unneccessary tugging and pulling and scraping. 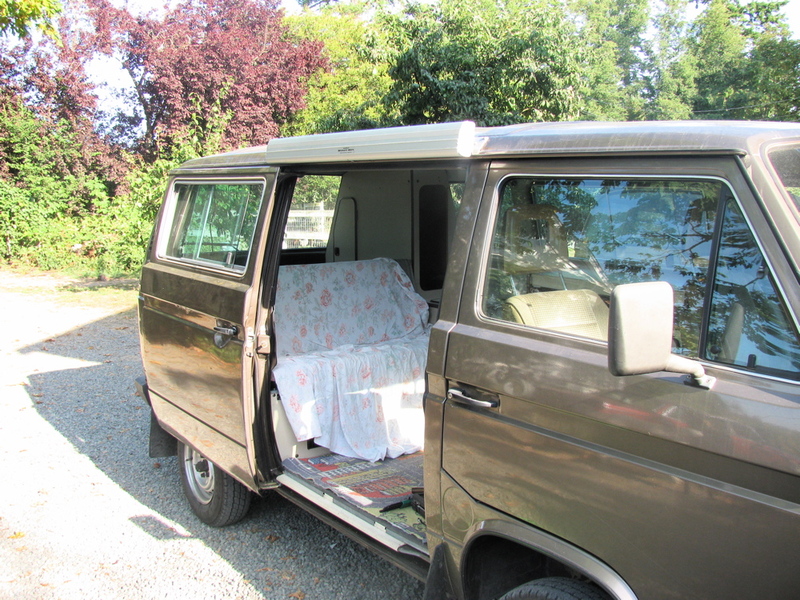 The longer you keep a vanagon, the faster you get at this. Instead of using a clamp to hold the window up, you might try cutting a couple of small wooden wedges to jam the window to the rubber so it won’t drop. Here’s the sequence of events, best I can remember, The only tools you’ll need besides the wedges are a phillips head screwdriver, a small knife to pry with, a 10mm socket and a 10mm combination wrench. Maybe something else, but basically that’s it. When you get the motor out, you’ll need a good sized soldering iron to remove the short harness and connectors from the old motor and put them on the new motor. Make a sketch of how the wires connect to the weird little terminals on the motor or the window might work in reverse. Ask me how I know. First, take the small bladed knife and pop the end covers out of the pull handle. You’ll see what I mean if you look closely. Pry out the molded-in end covers, working on the “inside” end closer to the center of the handle, as the outside edge (adjacent to the upholstered panel) is a plastic hinge. When pried open, the screws are revealed. Remove them and keep them organized, they are of two different sizes. Next go after the door latch plate. Pull up the handle and pry out the plastic insert from the little slot at the front. This will reveal a phillips head screw, remove this and lay the parts aside. Next comes the vent in the lower rear corner of the panel. There are two screws facing you when you look at the panel. Now the panel will pop off with a tape-covered screwdriver. Try to find a fastener and pry near it rather than in the middle between two fasteners. When you can get your hand in, continue around until the panel is loose. 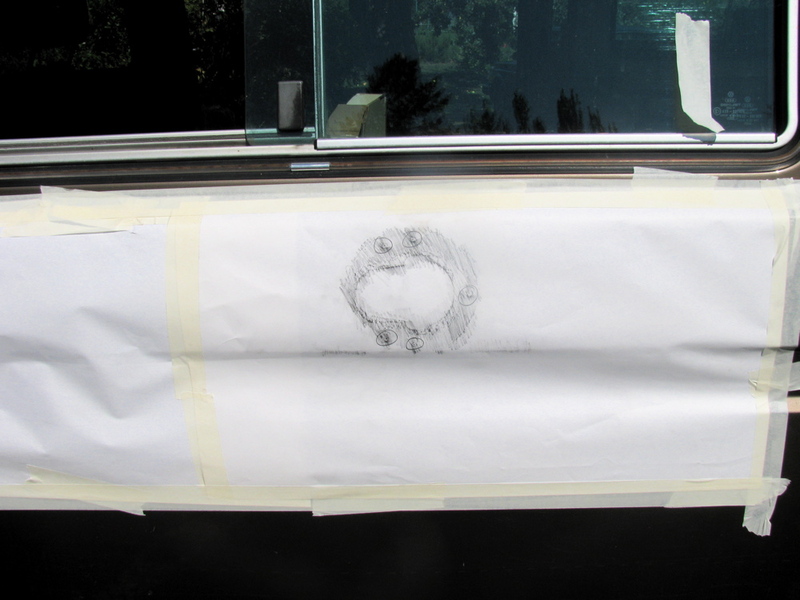 Carefully remove the plastic wind seal, you will either need to reattach or replace it with contact cement or tape. If you have speakers, make a note of how they are connected and disconnect them. 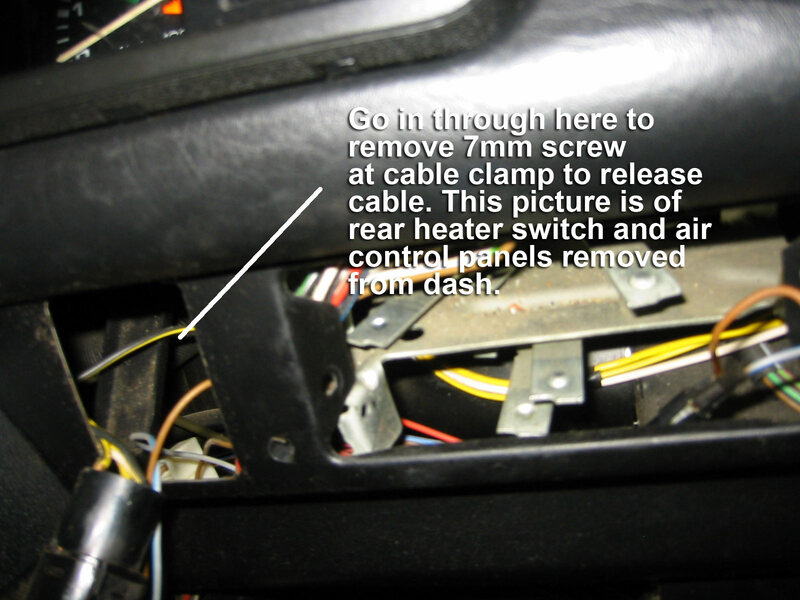 Unplug the window switch from the main harness and the motor. Cut any cable ties you find fastening the motor. The window needs to be all the way up to do the next steps easily. Now is the time to take a look as to how they will be accomplished. The window glass sits in a metal rail that is bolted to a mechanism that is part of the window raiser. This part is the same for crank-up or electric windows. The trouble is that you will need to get to the two 10mm bolts that fasten the window to the raiser. If the window is not all the way up, this may be your biggest challenge but since mine isn’t apart, I cant’ describe the situtation further. But this is what you have to do next. Following that, raise the now-loose window to the top and jam or clamp it to keep it out of the way. You will see a vertical galvanized metal track that the raiser slides in. If I recall correctly, a bolt in the side near the top and a bolt in the bottom of the door–yes, you have to look underneath the edge of the door–hold this track in. Remove these, don’t confuse the bolts with the two shorter ones that hold the window to the raiser. 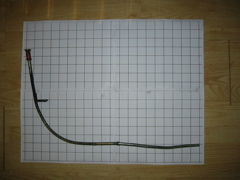 The vertical track is loose, but it is connected to the motor by two cables in housings. If the housings are broken, bent or rusted, go ahead and order them too right now. Now all that needs to be done is to remove the three 10mm bolts that hold the motor in. Once that is done, the motor can be twisted with one hand about 90 degrees to make the cables align together as the other hand moves the vertical track, bottom first, toward the motor. If you’ve done your twisting right, the whole thing will slide out the motor hole. When the motor is released, the whole thing will spring back to its arrangement in the car. Two 13mm bolts hold the motor on to the mechanism. As I said, you may have to transfer a plastic mounting collar and a short piece of harness to the new motor, but other than that, it all twists up and slides right back in the way it came out. Tools: nothing special in a modestly-equipped shop. Assumes you have a small cheap inertial puller set. 1. Jack up the first side, chock the other. release the emergency brake and then put in neutral. You’ll need to lock up either the wheel and other times turn it (to remove and tighten the CV joint bolts) or the flange itself (for circlip removal/refitting) at various stages of this procedure. 2. remove the allen-head bolts holding the inner CV joint to the transmission flange. Clean out first with a small pick, then tap in allen wrench with a small hammer to ensure seating in the fastener. Otherwise, you risk rounding out a bolt. 3. Drop and bag the CV joint for cleanliness. Have some good moly greasy on hand if it needs repacking. 4. You’re looking at the flange. 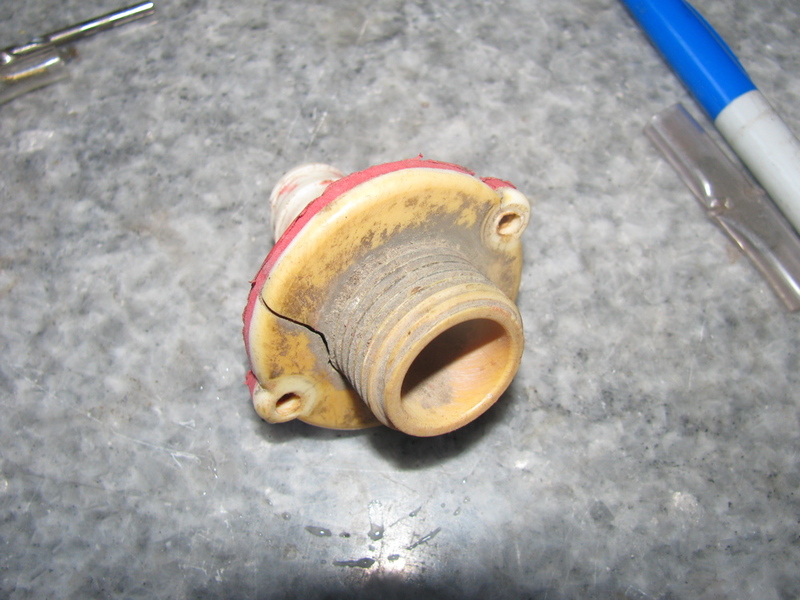 Talk a hammer and a sharp tool and drive it into the plastic plug in the center of the flange and pry out. 5. Remove the C-clip with two screwdrivers, better a screwdriver and a hook tool like a spark plug boot remover. 6. Use a 3-jaw puller to remove the flange. 7. Remove the two phillips screws that hold the plastic dirt shield to the transmission. 8. Clean everything you removed by soaking in gasoline, be sure you get the spring washer from inside the flange. Now you can see the seal in it’s aluminum housing. 9. Use a sharp-pointed tool east and west positions on the seal itself and punch holes. 10. 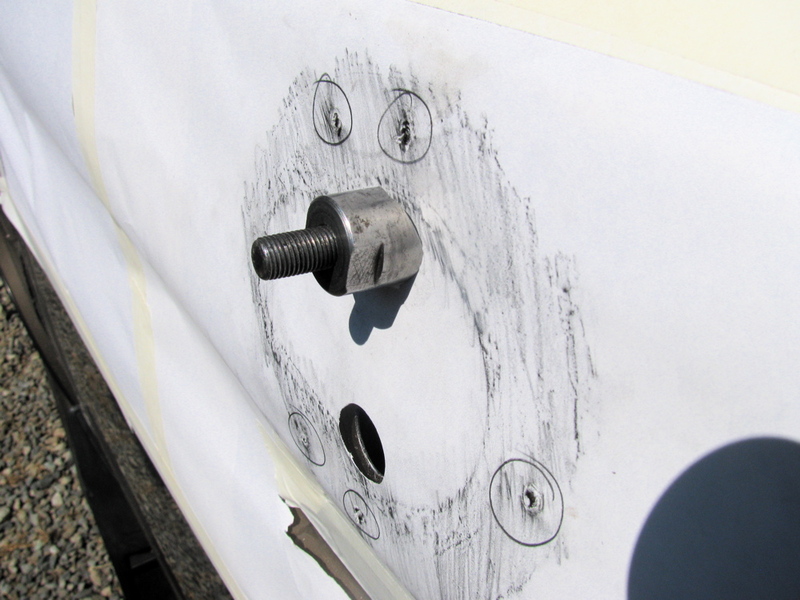 Use the screw tool with the puller to screw into the holes you punched in the seal. There’s a big old ball bearing behind the seal, don’t worry about it. Keep turning the puller screw into the seal housing until the pressure of the screw point against the bearing rides the seal out of its home. When you tighten the puller screw with a wrench, you’re stopping the screw point against the bearing and riding the seal up the threads and out of its seat. 11. Oil up a new seal with transmission grease and tap home with a stick, dowel or rod about 1/2 inch diameter and about 8 inches long. 12. Tap flush with seal housing, keeping tapping constant while moving rod or dowel constantly around seal housing. 13. 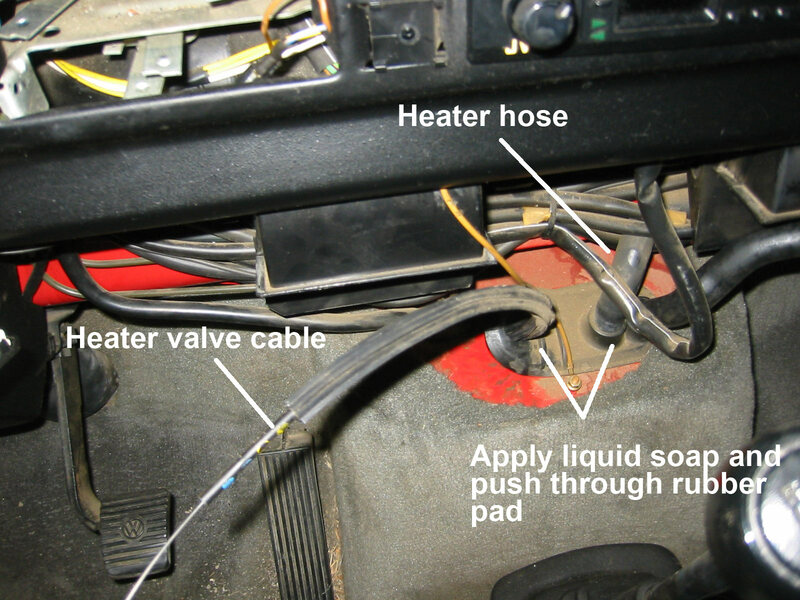 Remove soaking parts from gasoline and clean. 14. Refit plastic dust cover and screws and then refit flange. Protect with section of 2 x 4 and wail away with hammer until seated. 15. Refit spring washer cup out (center part the closest to you). 16. Refit clip ring with two medium flat screwdrivers. The first time you do this, it will take about ten minutes. The second time, about 30 seconds. There is a technique. 17. After fitting clip on axle stub, tap clip into place with small flat punch and hammer to make sure it is seated in the groove against the pressure of the spring washer. 18. Tap in new seal, smear joint with RTV adhesive. 19. Refit CV joint, packing with grease if necessary. 20. Repeat from step 1 for next side. 21. Drop shift rod by removing upper and lower 13mm bolts and nuts. 22. Remove transmission filler plug with 17mm internal socket. 23. Fill transmission per Bentley. 25. Lube shift cup and shift bushing with moly grease, replace bad rubber as necessary. 26. 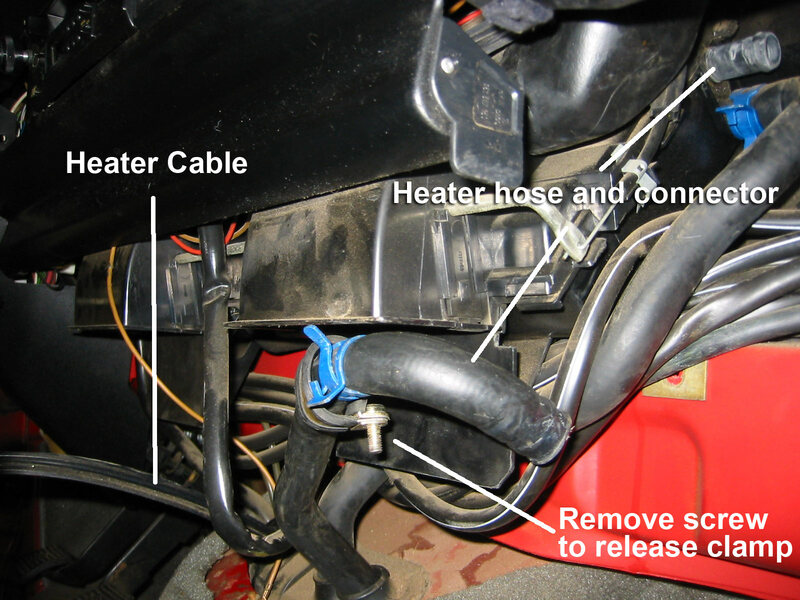 Rehang rear shift assembly as reverse of removal in step 21.